So how can you improve the value stream while reducing wasted time and money to incorporate lean manufacturing principles? The answer lies in one word: Automation. Automation in a job shop can be used to take on low-value tasks so employees can stick to the high-value jobs - we’ve heard this before. Although this statement holds genuine truth, what’s not blatantly obvious is how it impacts the bottom line. If employees are completing high-value tasks, engaged in their work, and therefore, satisfied in the workplace, it can be expected that they will be less distracted. Low-value tasks are boring and encourage employees to become distracted. Those distractions can cost the business upwards of $14,742 per employee each year. Manufacturing technicians vs. interruptions - what are you really paying for? Arguably, all manufacturers want personnel completing high-value tasks so employees feel a sense of purpose and accomplishment and employers can experience improved employee retention and optimized productivity. 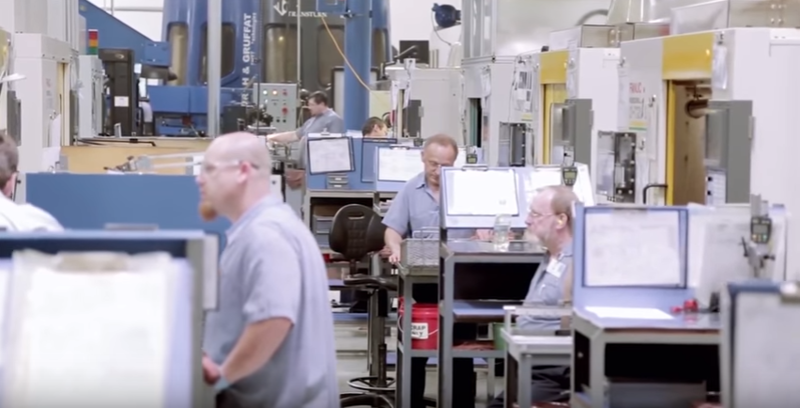 In non-linear manufacturing environments, as found in cellular manufacturers and job shops, manufacturing typically involves significant labor to complete both high value and low value tasks to keep production flowing. Consider this: highly trained and well paid technicians and operators complete work at their cell. Following the completion of a batch, they’re required to manually transport goods to the next destination point themselves - after all, aisles are typically narrow and equipment use and cost is difficult to justify in these flexible, changing environments. When this occurs, employees are subject to a variety of distractions spanning unnecessary coffee breaks, checking their cell phone for updates, or assisting a colleague with a task. Even the basic act of switching tasks from cell work to transporting goods can be considered an interruption. 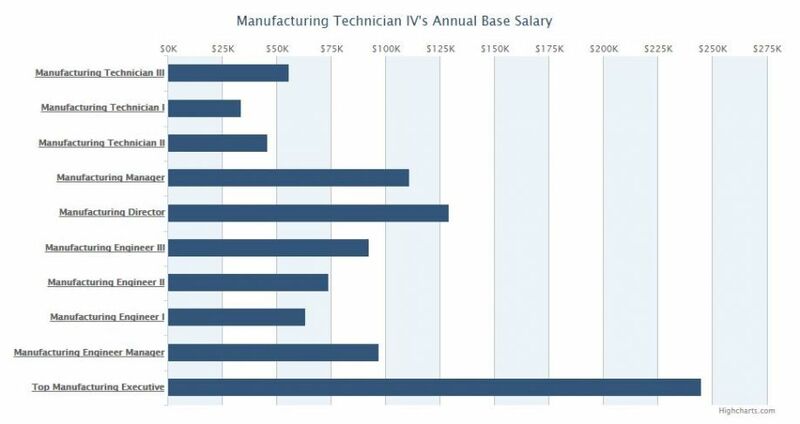 According to salary.com*, the median annual salary of a manufacturing technician is $45,143. For the purpose of this exercise, we can average the three levels of technician salaries to assume an employee makes $45,143.00, plus $8,125 (or 18%) for benefits and perks, for a total of $53,269 per year. If we assume 2,000 work hours per year, the employee’s cost per hour is $27.00. Now reconsider the example above with regard to employee distractions, particularly when personnel is required to manually transport a good from their cell to the next point. Conservatively, assume this occurs 2 times per hour (16 per day) and takes about 8 minutes to account for the walk to and from the next destination and perhaps a coffee break or chat with a colleague on the way back. = [546 wasted hours per year] assuming 260 work days per year. If a manufacturer is paying an employee an average of $27 per hour, that equates to $14,742 per year spent on wasted hours. For a facility that employs 75 technicians, this means that manufacturers could be wasting $1.1 million on low value, non-profit generating tasks such as manual material transport. This number is most likely conservative. As an operator focused on improvement, a future-state value stream map is most likely an item in which you review regularly. So how can you improve the value stream while reducing wasted time and money to incorporate lean manufacturing principles? The answer lies in one word: Automation. And the lowest hanging fruit within your supply chain is most likely the materials transport - the areas that are difficult to track and report on, but make up 546 hours per year by each employee. Automated material handling can be the backbone of your production cadence. Throughout the plant floor you most likely have already begun increasing point velocities with lean process changes. Materials should flow to and from these points on an automated cadence so that their incredible efficiency is not wasted. But how exactly?